For anyone who has listened to the sounds of a forest, heard their own breath as they crested a trail or danced their fingertips over the side of a kayak, the benefits of exploring nature are clear. Ensuring that people living with disabilities or barriers to can experience such moments is at the heart of what Power To Be does. The non-profit organization empowers people to explore their limitless abilities through inclusive adventures rooted in nature. 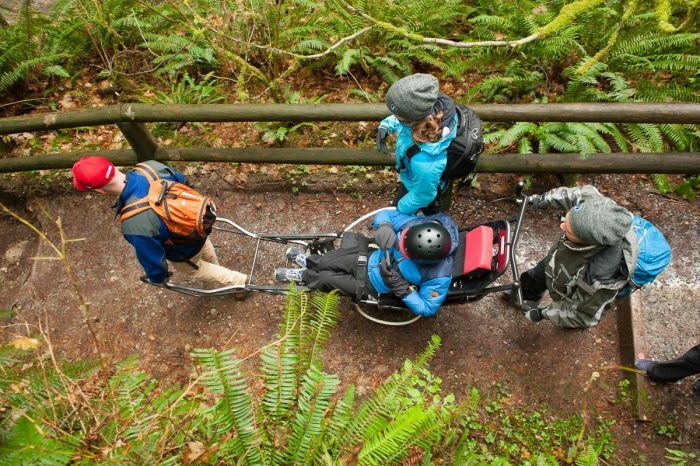 Whether that means supporting someone to summit a trail via a TrailRider, creating a kayak program for a group of youth living with a serious health condition and countless adventures in between, Power To Be removes barriers to getting outside for people living with physical, mental, social and financial barriers. The inspiration for the organization is rooted in founder and Executive Director Tim Cormode’s childhood adventures in nature, and a volunteer experience at Colorado-based Brechenridge Outdoor Education Centre, which provides outdoor learning experiences for people of all abilities. Power To Be’s first adventure was a kayaking trip with youth from BC Children’s Hospital. Watching the youth have fun and witnessing their perspective shifts set Power To Be on a path to facilitate programs for youth and adults. 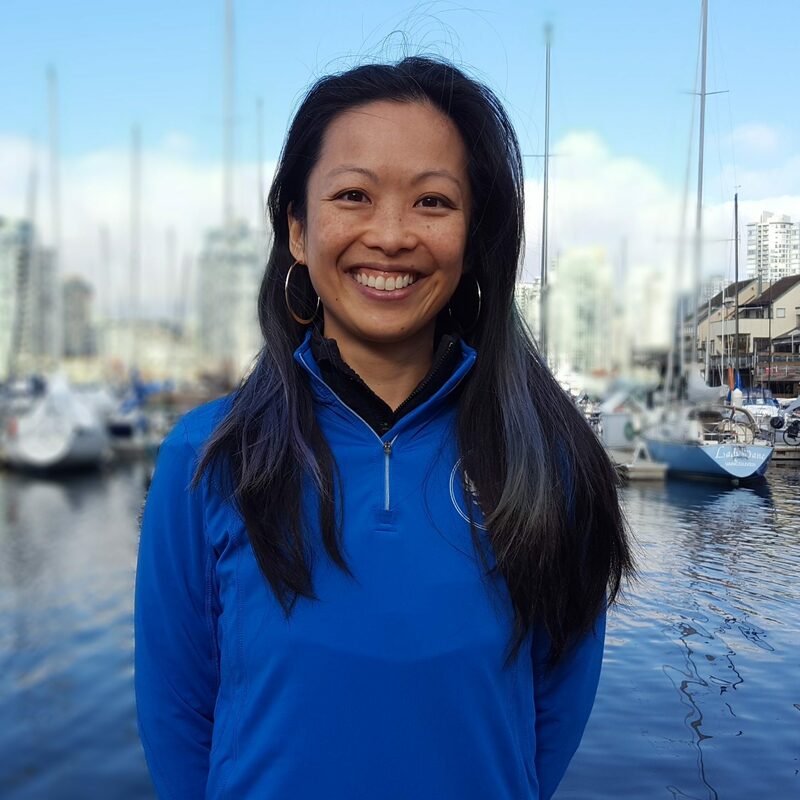 Power To Be now offers programs in Vancouver and Victoria. Last year, the non-profit offered more than 450 programs and created opportunities for more than 1,200 participants to get active in nature. Activities include kayaking, surfing, camping, hiking and more. The reason the team at Le Physique has chosen to support Power To Be is because of their values and goals reflected in the programs they offer. Their year-round curriculum is designed to promote physical health and emotional well-being (right up our alley), develop interpersonal and leadership skills, teach environmental and social stewardship, and support community engagement and family connectedness. Each of these points speaks to our core values and I could probably spend a whole blog post talking about these things, but I’d really like to shine the spotlight on this great company and all that they do. For more information, please visit powertobe.ca. and if you like what you see, help them out by coming to our event on June 8th, playing a few games and enjoying some great company.